These Crait-Cakes are a Paid Promotion for Lucasfilm’s Star Wars: The Last Jedi. It is no secret, we love Star Wars. Remember when we did 3 recipes for Rogue One: A Star Wars Story? Well, we were asked to create some new recipes for Star Wars: The Last Jedi. Therefore, we’ve created not 1 but 2 brand new recipes for the latest addition to the Star Wars franchise. The first of the two recipes we’re sharing is for Crait-cakes! 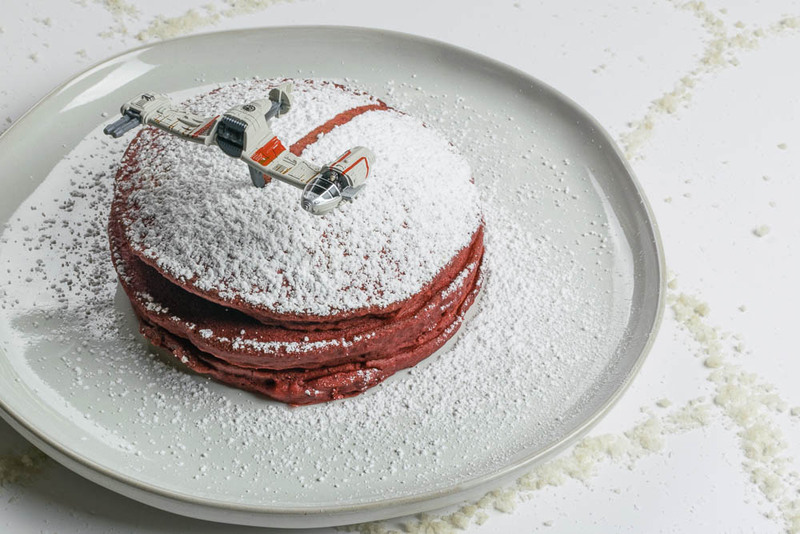 Our Crait-cakes are a fun Star Wars inspired version of red velvet pancakes! The inspiration for our Crait-Cakes comes from the terrain of the planet Crait. Crait has a thick crust of white-colored salt covering nearly the entire planet surface, with a red-colored mineral base beneath. The scenes from Crait had some of the most stunning visuals of the film. It only made sense to have one of our recipes use it as inspiration. We substituted sugar for salt and created a red base with red velvet pancakes! Who doesn’t want to have a Star Wars inspired breakfast or better yet, brunch? 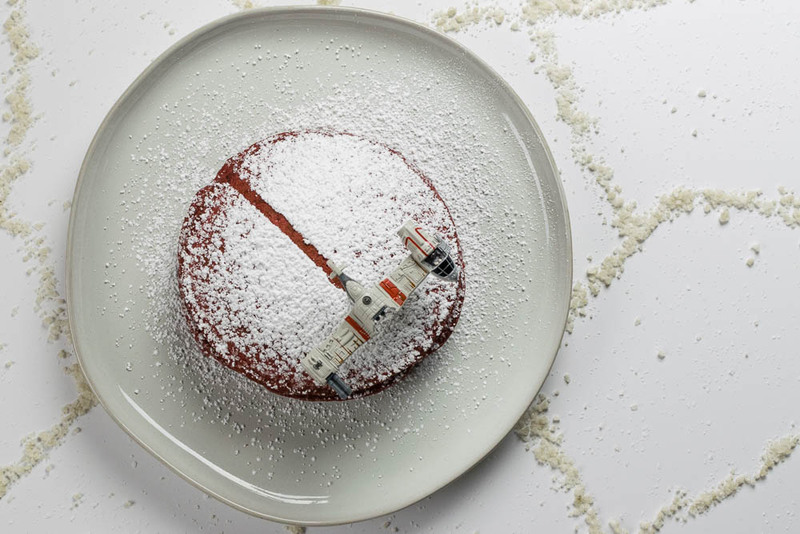 We hope you enjoy our recipe for Crait-cakes! Star Wars: The Last Jedi is out now on Digital HD and Blu-ray! Be sure to check back later this afternoon for our next recipe which will feature everyone’s favorite BB-Series Astromech Droid! Combine cocoa powder, vanilla extract, and red food coloring with your pancake batter. Spray your pan with cooking spray and heat with medium high heat. Cook until surface of pancakes has some bubbles and a few have burst, approximately 1 to 2 minutes. Flip and cook for 1 to 2 minutes more. Transfer to a dish and cover loosely with aluminum foil to keep pancakes warm. Continue making pancakes until batter is completely used making sure to spray pan between each pancake. Top each stack of pancakes with a light dusting of powdered sugar.